Tattoo artists make their own needles because they want a very specific type of needle for a specific task, such as creating softer tones, packing color, or controling tight lines. The Loose Tattoo Needles are already shaped and waiting for you to create the layout you desire. 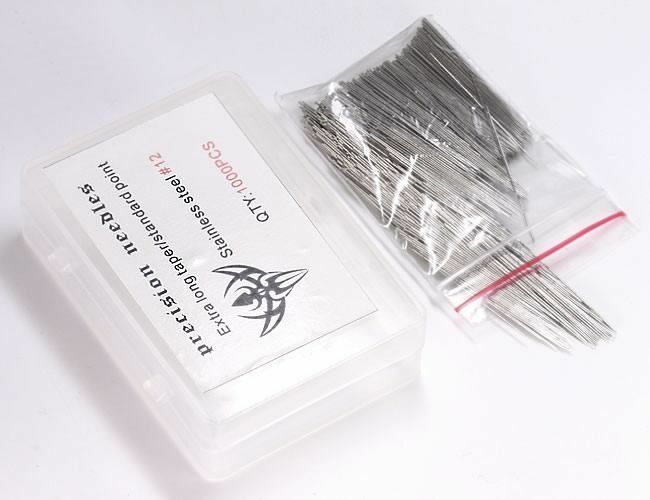 The #6 BugPin Short Taper Needles have a diameter of 0.22mm and the length is 30mm. The taper of a tattoo needle is the length of the point on the end of the needle. The short taper on these needles measures 1.4mm-1.5mm. Make sure to also get the needle bars you need; we offer the Flat or Round.